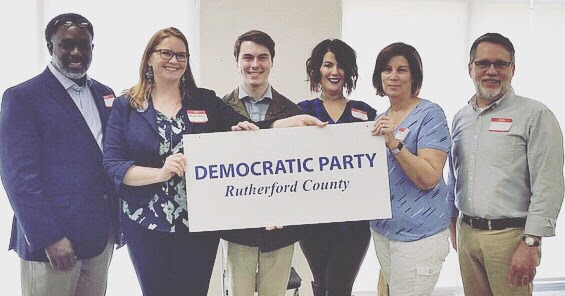 On April 6th, the Rutherford County Democratic party convened to elect a new Executive Committee and team of Officers. The new RCDP leadership is committed to the work required to elect Democratic Candidates in Rutherford County. With the Leadership Elections completed, our Party is now ready to charge forward towards victory in 2020! The RCDP has been busy planning for future events and implementing new strategies to help us build on the tremendous successes in 2018. Rutherford County swung further left than Democrats nationally, with a +12.3. We can win, but we need YOU to do it! Check out our website and sign up for our newsletter to stay up to date on our currents events.